Aired on Wednesday, July 10th. On this edition of our show, we offer an engaging, wide-ranging conversation with Heather Clark Hilliard, a fiber artist based in Norman, Oklahoma. Hilliard is also the inaugural artist-in-residence at 108 Contemporary gallery (located at 108 East Brady in Tulsa, and formerly known as the Brady Craft Alliance). 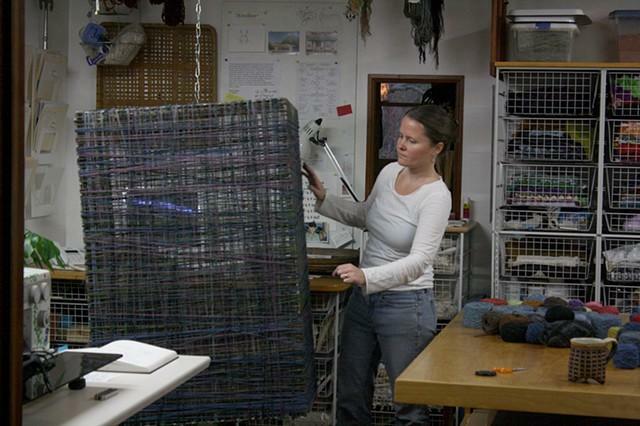 She tells us about her solo show, "Finding the Fire: Concepts in Fiber," which will be on view at 108 through July 20th, with an Artist Talk scheduled to occur at the gallery on the 19th at 6pm. Hilliard also describes her residency project, "Memory Ring," which is a large, gallery-specific, wood-and-fiber installation that will be created daily --- and publicly --- at the gallery through Thursday the 18th. 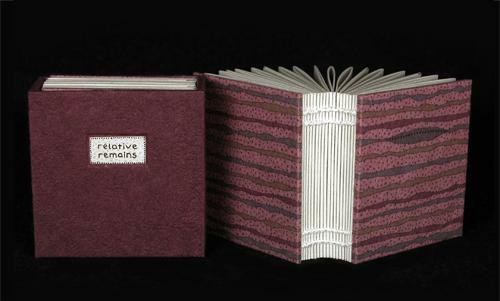 You can learn more about 108 Contemporary, and about seeing Heather Clark Hilliard's work therein, at this link. And you'll find Hilliard's own website here. 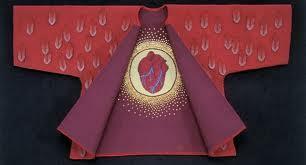 On this installment of our program, we speak by phone with the internationally known contemporary fiber artist, Jon Eric Riis, whose tapestry works can be found in private collections as well as The Metropolitan Museum of Art, The Art Institute of Chicago, The Cleveland Museum of Art, The New York Museum of Art and Design, The Renwick Gallery of the Smithsonian American Museum of Art, and elsewhere. This weekend --- beginning Friday the 14th --- the Tulsa community will welcome Philbrook Downtown, a new satellite space of the Philbrook Museum of Art, which was founded in 1938 and opened in 1939. 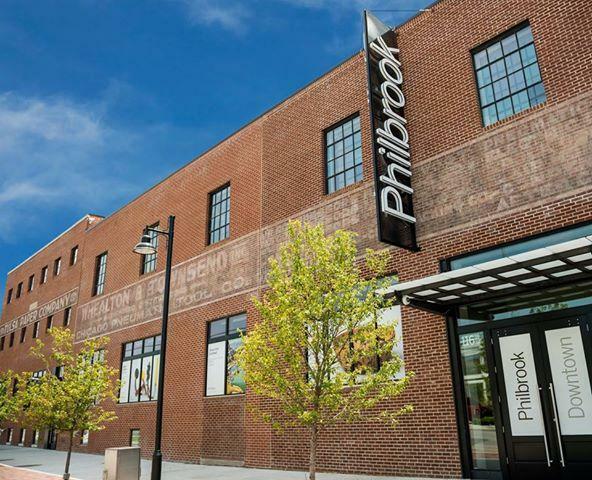 Philbrook Downtown is a 30,000-square-foot, modern-style facility located in the city's vibrant Brady Arts District; it's comprised in a brick building that formerly housed a historic warehouse, and it's situated just steps away from several other newly created arts/cultural institutions in downtown Tulsa. 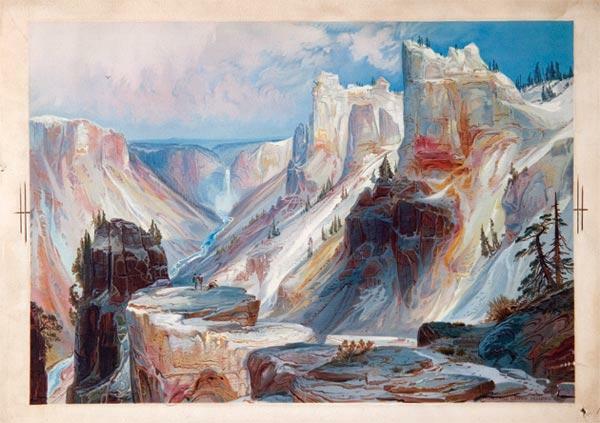 Tulsa's Gilcrease Museum is currently showing one of the finest collections of early color printmaking, or chromolithography, in its exhibit called "Yellowstone and the West: The Chromolithographs of Thomas Moran," which is on display through September 8th at the museum. The exhibit features a suite of 15 prints commissioned and made by Louis Prang; these are prints of Moran's watercolors from his 1871 journey to Yellowstone as a member of the Hayden Expedition. Today on ST, a special interview from our archives as we listen back to a 1993 discussion with Charles Banks Wilson. The widely beloved artist died last week at 94. 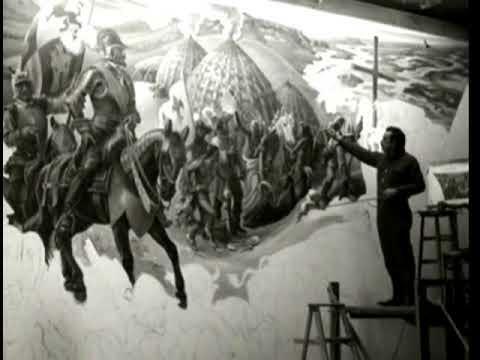 Wilson was born in Arkansas and grew up in Miami, Oklahoma; over the course of his long and prolific career, he worked as a painter, printmaker, art teacher, lecturer, historian, and magazine and book illustrator --- and his works are in the permanent collections of the Metropolitan Museum of Art, the Library of Congress, the Corcoran Gallery, the Oklahoma State Capitol, the Smithsonian, and other notable institutions.